Take a look at our Upcoming events and Updates. They will be posted right here. just click for more Information. Mark your calendars for June 8th, 2019!!!!! Our In-House Board Breaking Tournament is now open for registration. Sign up now, before it is too late. Last day of Registration is May 27. In-House Board Breaking Tournament 06/8/2019 Special Online ONLY Price!!! Founded on the principals of teaching excellence, providing personal attention, and following traditions; we will provide our students with the most complete and effective methods to reach their full potential. Our main goal is to not only teach our students how to kick and punch, but to promote strong character development, confidence, respect, self-esteem, patience and discipline. These are just some of the key ingredients to become a master martial artist as well as a successful person, able and willing to contribute back to the community. Self-defense, fitness, weight loss, strength development, or competitions may be just a few of your goals that we will be able to help you achieve here at Black Belt USA. You and your family will be able to work out in an excellent, exciting and energetic environment with the best instructors in the Pacific Northwest! We have been voted #1 martial Arts School by our local community and we are sure that you will not be disappointed. You will instead be excited to attend each class, and when you leave, you will feel uplifted with a positive attitude and ready to take on the world! 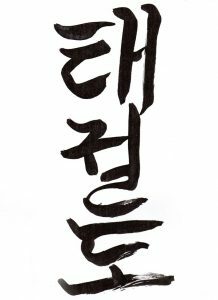 Our Black Belts are Registered with World Taekwondo in South Korea. Just wanted to take a second to recognize a durable and reliable brand that even sponsored some of our very own battleground fighters. 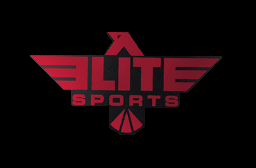 Elite sports MMA has a mass variety of boxing equipment, kickboxing gear, pads, mitts, training bags and countless other accessories and fight apparel. In addition, they also have affordable pricing with every piece of gear that they sell so you get the most bang for your buck! Click the link below to check out their website and store and see some of their cool original designs! Here are a few of their links to some really AWESOME gear, Remember…. ALL MMA Fighters have to have the best of the best gear!!! What a big, positive change for our 10 year old daughter. Caring, knowledgable, and personable teachers. The best activity for our daughter, hands down. I strongly recommend this martial arts learning center. Great instructors. Mr Burns is a good teacher and moral figure. Great positive influence for my kids. His staff (including his kids) are instructors that take care and are kid friendly. Reasonably prices too. Parking is kind of difficult. Excellent staff! My son resisted going at first, but the kind, supportive nature of Mr Burns and the other instructors won him over. He absolutely loves it now. Can't say enough nice things about our experience here. Thank you! !